You know how you get a gut feeling as soon as you finish a project that something is a little off? Well, that’s how I felt about the stain color. It had way more blue in it than gray and I secretly hated the way it looked with the house color. I left it for a few months thinking it would grow on me or that the sun would miraculously dry the blue tones out of the table but neither of those things actually happened. I was sitting outside about three weeks ago regrouping from the day. It was late in the afternoon when I decided on a whim I couldn’t take the color any more. 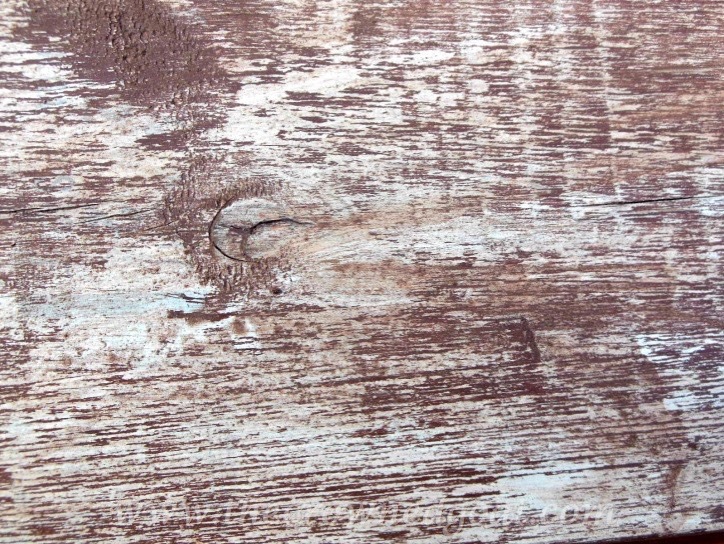 I ran inside and grabbed my walnut colored stain wipes and set to work on “fixing” the table. But in my haste to get started, I had mistakenly picked up mahogany stain wipes instead of the walnut stain wipes. 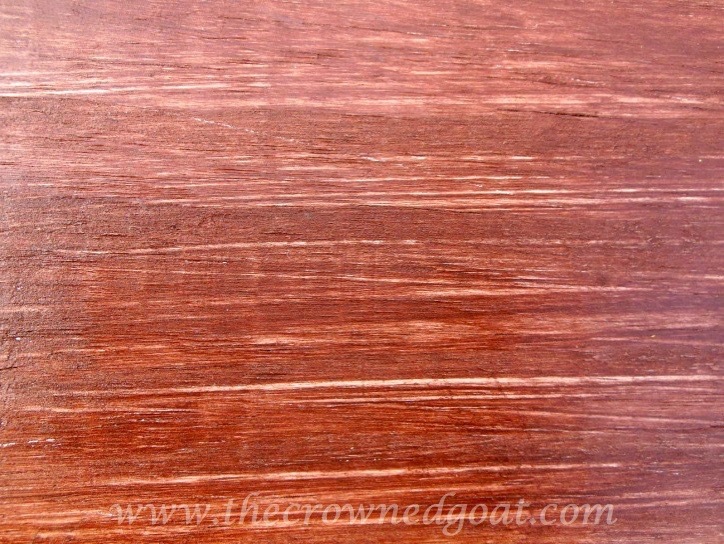 Cue the loud screams as my blue hued table mixed with the red tones of the mahogany stain. 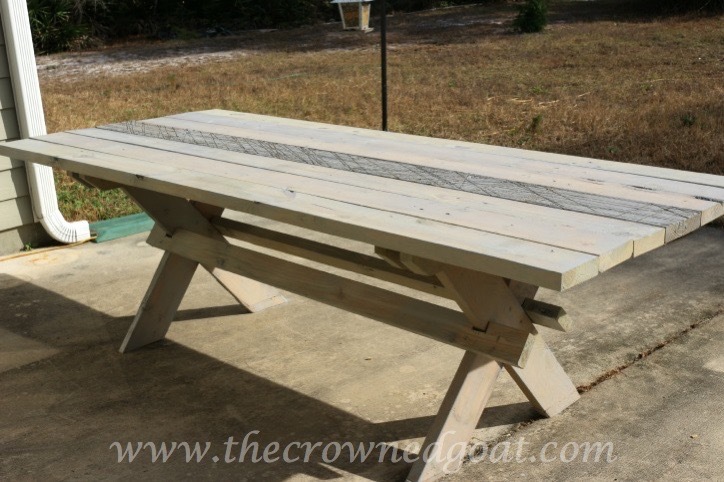 The table I loved so much slowly started taking on a shade of purple – art class 101 – epic fail. I had no choice but to continue with the mahogany stain because I didn’t want the stain to be uneven. But once it had dried I was completely panicked. I decided to grab some steel wool and vinegar to try and take the stain off the table. 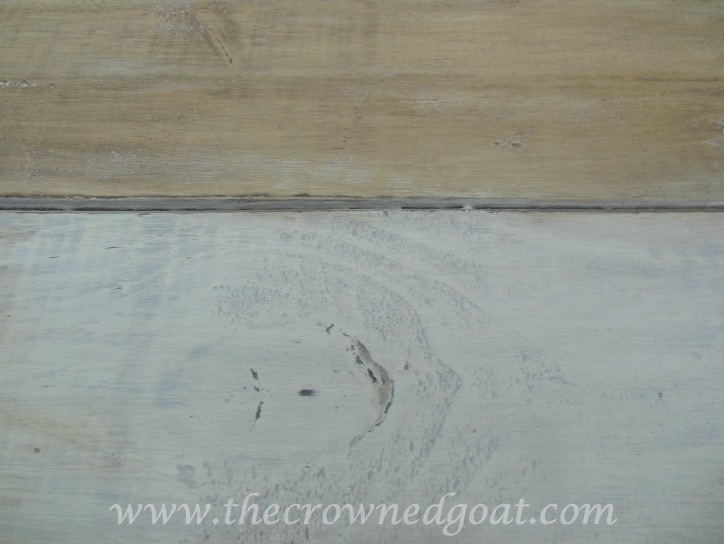 As you can see from this picture the stain had already seeped into the wood. It had the weathered look I was going for but the finish was worse than it had ever been. 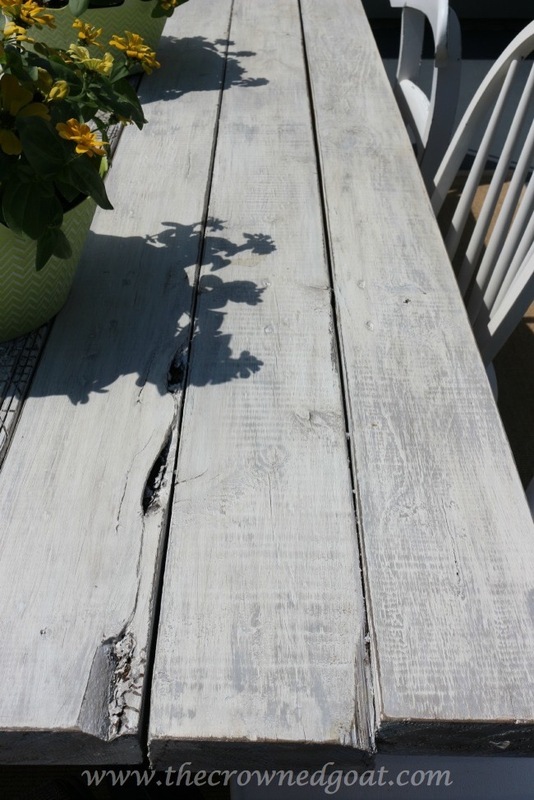 The next day, I repainted the top of the table with a homemade version of chalk paint using any and every version of white paint I could find. It took two coats of the chalk paint and one coat of Zinsser primer before I could rest my nervous heart. I also decided to add a coat of dark wax. I know wax is not recommended for outdoor use but what can I say, I was totally desperate. On a side note, I’m so glad we stained the concrete. 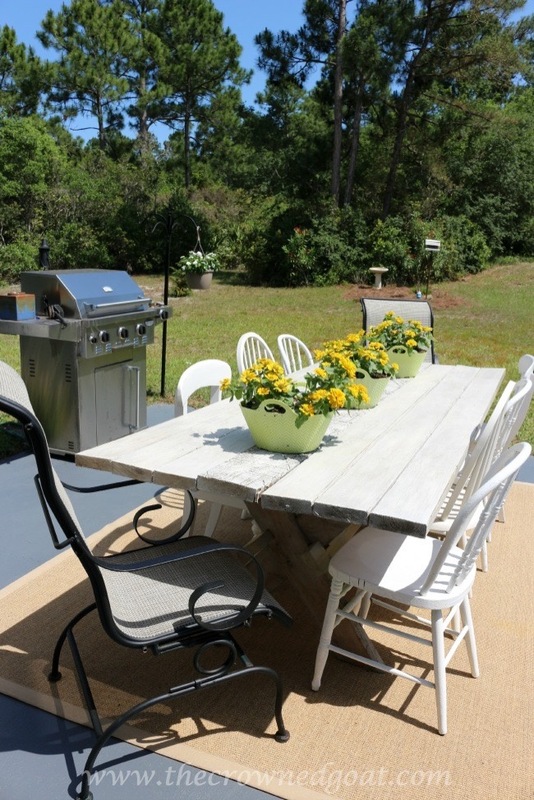 Seeing this shot of the table on the patio before we painted it just makes me realize how bad it really was. 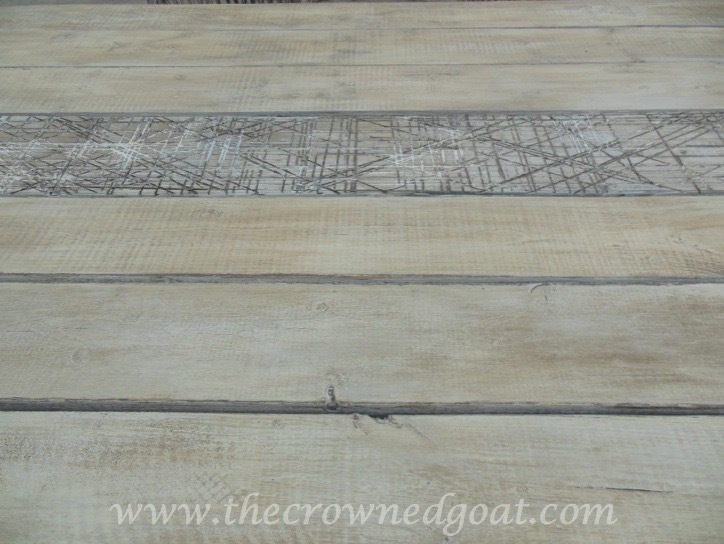 Over the past few weeks, the dark wax has melted into the wood and the sun has done an amazing job adding to the patina of the top of the table. Every time I look outside my kitchen window, it’s confirmed. This is the look I was after all along. See you guys back here tomorrow. 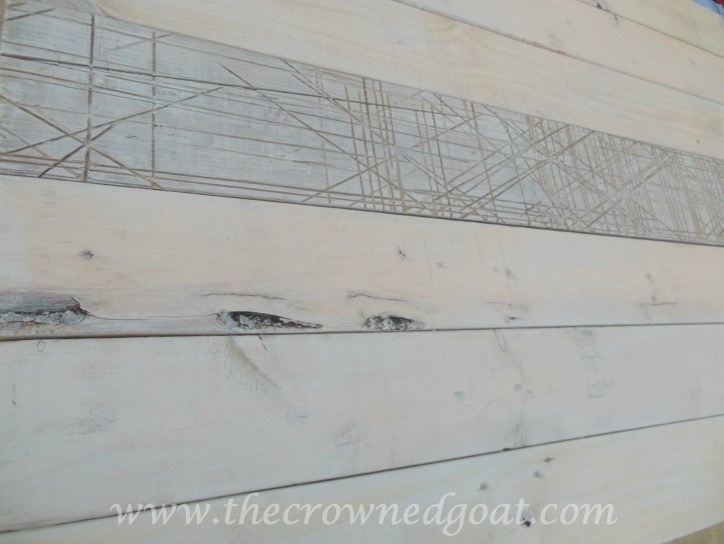 I’ll show you how to make a menu board from an old door. I’m sorry it was a nerve wracking journey to get to this look but you NAILED it! It’s beautiful! Sometimes we just have to be brave enough to keep going even when we feel like we’ve totally botched something. 🙂 Hugs!! It’s beautiful Coco! But I can only imagine your panick in the beginning when it turned purple! Oh my word! It’s perfect now. And I love the 3 baskets of flowers and those chairs!!! 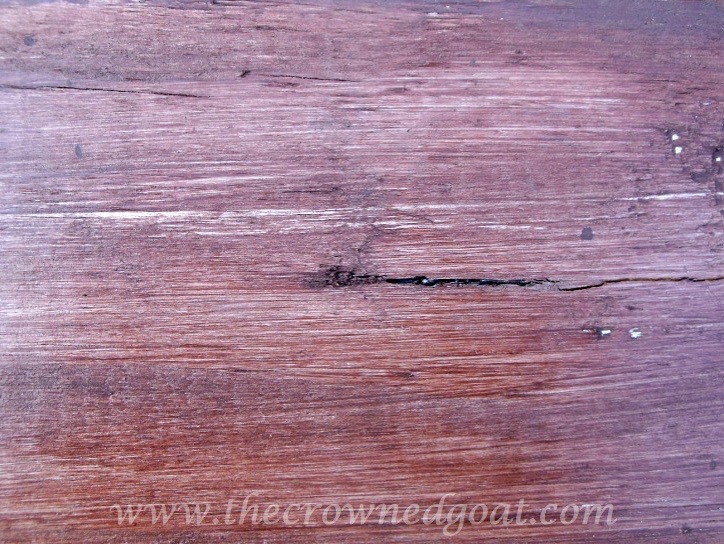 CoCo – I know the panic you felt when you beloved table started turning purple! You did a remarkable job of creating the table of your dreams…your painting skills and finish combination really paid off. 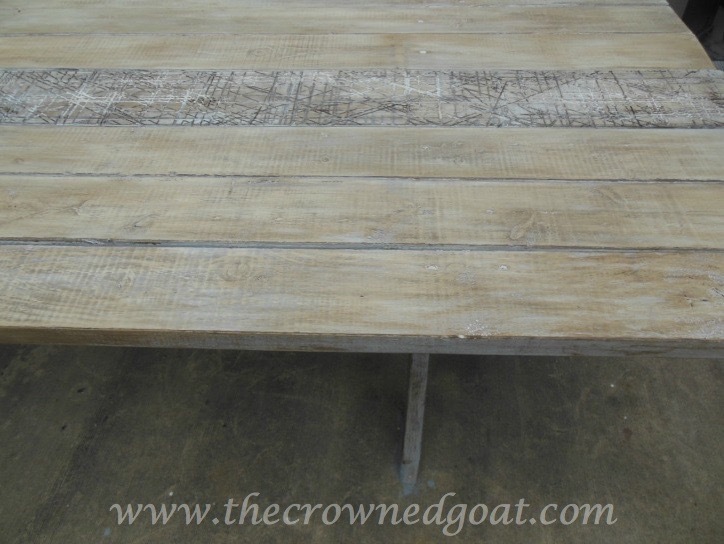 The farmhouse table is gorgeous – the color and patina are beautiful! !